Rugby MP Mark Pawsey, (Yellow Jacket), pictured with the Rugby Street Pastors outside Zinc. 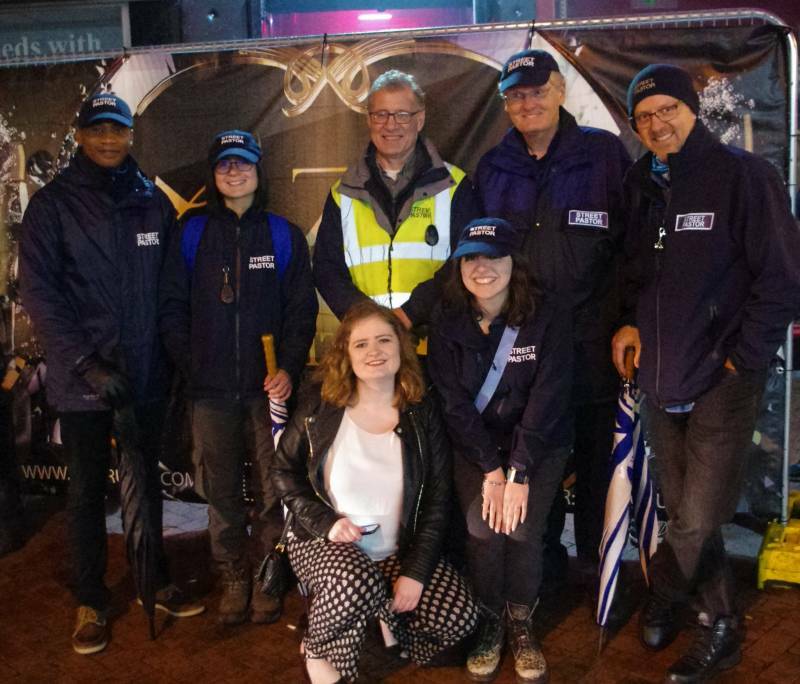 On Saturday 12th May, Mark Pawsey, MP for Rugby and Bulkington, went out on patrol with the Rugby Street Pastors. To set the scene before the patrol, he was given an overview of the work of the Street Pastors which was set up 9 years ago. He heard about the extensive training programme that each Street Pastor undertakes, its role in the partnership with the Church, Police and Rugby Borough Council, the growth of the work with new trainees and the impact that the Street Pastors have in helping to make Rugby a safer town. This was followed by a tour of the Rugby First CCTV Control Room. While on patrol, he experienced first-hand the Rugby night time economy, including visiting night clubs, pubs and talking to the door staff and clubbers as they patrolled Rugby’s streets.